September | 2014 | Sonic Smash-Music! 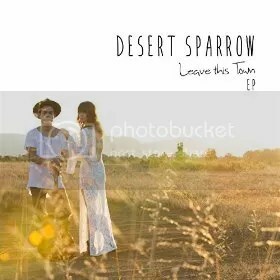 The indie music duo known as Desert Sparrow have released their debut EP record, “Leave This Town.” The record comprises four original tracks for an approximate total listening time of 18 minutes. It has been proudly published as an independent release entirely without support of the corporate music infrastructure. A seamless blend of contemporary folk and old-fashioned, bluesy rock ‘n’ roll, “Leave This Town” is a raw and unadulterated serving of sound any music fan can get behind. The heart and soul of Desert Sparrow are Kylie Adams and David Carreno. They cite as main artistic influences Fleetwood Mac, Black Rebel Motorcycle Club, Kings of Leon, and Angus and Julia Stone. This list of legendary groups does not add up to a round understanding of the Desert Sparrow style, however. Desert Sparrow are natural musicians in the truest sense of the word. Their undeniably great vocals and refreshingly tasteful instrumentation are merely ancillary qualities, the proverbial icing on the cake in light of startlingly solid songwriting that is (literally) packaged for play on public radio around the world. The sense of Desert Sparrow simply going outside to enjoy themselves with a song or two and incidentally making a four-star album is palpable. This unassuming goodness is also reinforced by a characteristic humility that can’t help but distinguish them in the land of competition that is Los Angeles. Asked to describe their start in music, this modesty is plain to see. “Leave This Town” by Desert Sparrow is available online worldwide. 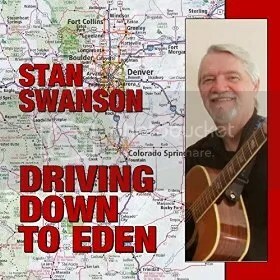 The singer and songwriter known as Stan Swanson has released his latest EP record, “Driving Down to Eden.” The EP is composed of four original tracks for an approximate total listening time of 14 minutes. It has been proudly published as an independent release on the Stony Meadow Records music label. Generally found online listed in the contemporary folk category, Swanson’s “Driving Down to Eden” is a purely American record colored brightly with earnest storytelling and a dash of rock ‘n’ roll. That Swanson’s music should fall into the folk genre makes sense. He lists as main artistic influences Bob Dylan, Paul Simon, Patty Larkin, Bob Lind, and the Beatles. Like the best folk artists, however, his overall timbre is his own and he sounds like no one but himself. As a songwriter with decades of experience playing his own music, this also seems intuitive. Swanson began writing music at the age of 13 in the 1960s. Like some of the best loved folk tunes of that epoch, however, there’s more to Swanson’s sound than the traditional folk pattern. Swanson’s inclination to diverge from typical modes of folk music is a reflection of his own multifaceted nature. While ‘Driving Down to Eden” is his most widely distributed album to date, he is also the published author of several popular books available online. Nevertheless, fiction can only satisfy his muse by so much. “Driving Down to Eden” by Stan Swanson is available online worldwide. The composer and producer of electronic dance music known as Jeff Gray has released his latest single, “The Stories,” featuring Corey Friesenhan. The track has been proudly published as an independent release entirely without financial backing from the corporate music industry. Spacious and ethereal, rhythmic and buoyant, vivifying and full of drum ‘n’ bass, “The Stories” is a single which helps define the signature Australian EDM sound called Melbourne bounce. The DJ from southeastern Australia cites as main artistic influences many of the world’s most respected contemporary digital musicians, such as Avicci, Will Sparks, Calvin Harris, Joel Fletcher, SWM, TJR, and Reece Low. Gray’s own style, however, is only tinted by such inspirations, having an overall color which takes its hue from the sonic culture of his locale. Gray picked up music at the age of seven, beginning with guitar. When the rest of his life got in the way of his music, it would take many years before working as a disc jockey for parties and clubs started his creative machinery whirling again. Jeff Gray has been producing music now since 2011. His featured musician on “The Stories,” Corey Friesenhan, is a seasoned producer in his own right and will release the second volume of his popular vocal sessions collection, “Banshee,” in October of 2014. 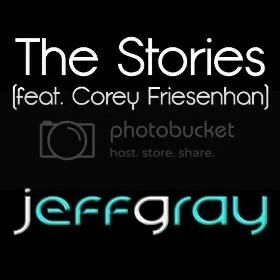 “The Stories” by Jeff Gray featuring Corey Friesenhan is available online worldwide. 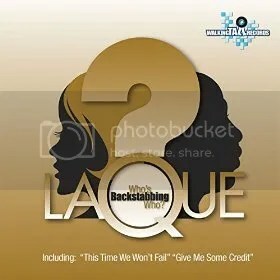 The veterans of R ‘n’ B music known as La’Que have released their latest LP record album, “Who’s Backstabbing Who?” The album is composed of nine original songs for an approximate total listening time of 40 minutes. It has been released on the Walking Tall Records independent music label. Slick, sonorous, and irresistibly debonaire, “Who’s Backstabbing Who?” is an album which can’t help but revive the fire in the hearts of all who hear it. La’Que cite as main artistic influences such notable performers as Anthony Hamilton, Paul McCartney, Maxwell, and the Temptations. Their signature, inimitable style is gilt with common qualities of all these, but retains that attribute which is perhaps most important to the groove and timbre of an R ‘n’ B record: that unmistakable Chicago sound. With tracks written by longtime La’Que members Jimmy Lloyd and Terry Snodgrass, “Who’s Backstabbing Who?” is a reminder of what made R ‘n’ B unforgettable in its golden era of the 1970s. Bedecked with strings, bass, three-part harmonies and impeccable lead vocals, La’Que’s new album is easily superior to most of the rhythm and blues played regularly on today’s public radio stations. More than merely meaningful, however, “Who’s Backstabbing Who?” has more boogie in its heels than James Brown at a Sunday service. Music fans who enjoy records by artists like the Four Tops, the Spinners, and Gladys Knight and the Pips are sure to be enthusiastic about this new LP from one of mid-western Chicago’s most striking and unstoppable R ‘n’ B groups. “Who’s Backstabbing Who?” by La’Que is available online worldwide. Get in early. 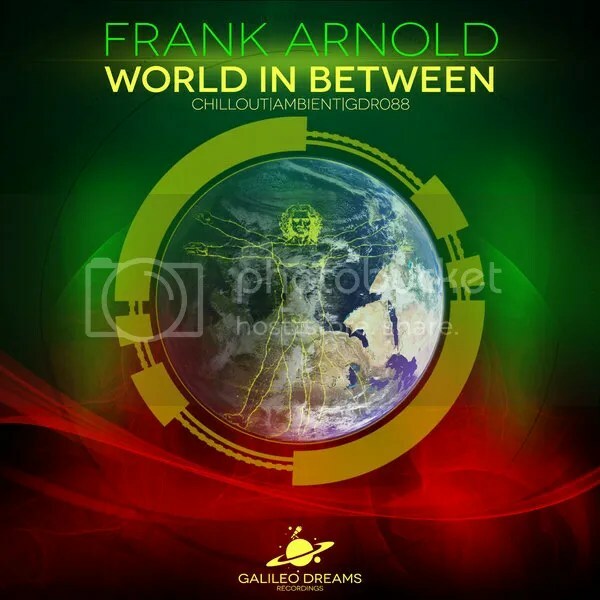 The composer and producer of electronic music known as Frank Arnold has released his latest official single, “World In Between.” It has been published on the Galileo Dreams Recordings independent music label and is available at iTunes, Beatport, and everywhere good digital music is sold. Mellow, spacious, and populated with several undeniable melodic phrases, “World In Between” is a reminder of just how good modern electronic music can be. German-born Berliner Frank Arnold cites as main artistic influences Enigma and Jean-Michel Jarre. He has also been quoted as preferring music by such composers as Astrix, Astral Projection, Infected Mushroom, Schiller, Above & Beyond, Kaskade, and ATB. Arnold’s own music is often much more subdued than what is expected of the EDM genre, however. Billed on iTunes as electronic, ambient, and lounge music, Arnold’s “World In Between” is perhaps best considered an example of what fans of electronic dance music often refer to as “chillout” music. Frank Arnold has been playing music since the age of nine, at which age he discovered an accordion in his parents’ flat. He took accordion lessons for many years before hearing Jean-Michel Jarre’s seminal album, “Oxygen IV” on the radio. (Jarre has been entered into the Guinness Book of World Records four times for performing the largest concert ever; 3.5 million people attended his show in Moscow). After being inspired by Jarre, Arnold dedicated himself to the practice and production of electronic music. Arnold began to focus on sound design and synthesis in the early ’90s, producing several demo tapes which were ignored by record companies in that highly competitive and elitist era of professional music. He left off music production for software development until 2004, when he was exposed to Chicane, Enigma, and the talented trance artists of Israel’s digital music underground. Since that time, Frank Arnold has been sculpting his own music style, which he considers to be an amalgam of ambient, trance, and pop music. “World In Between” by Frank Arnold is available online worldwide. Get in early. The rapper and songwriter of hip hop known as Tony Spades has released his latest single, “Standing There,” featuring Lynia Love. An official music video for “Standing There” has also been released for viewing online. “Standing There” has been published on the FreedomBorn independent record label, which Spades co-founded in 1999 with fellow producer, recording artist and F.A.M. alumnus, Adychshun. Classy, slick and booming with drum ‘n’ bass, “Standing There” by Tony Spades is a new rap track with an old-school soul, and just what the scene has been looking for. Tony Spades (also sometimes billed as Johnny Torch) cites as main artistic influences such legends as the Notorious B.I.G., Jay-Z, Kool G. Rap, and Big Daddy Kane, all of whom hail from the original home of rap music, the American East Coast. As might be intuited, Spades’ performance on “Standing There” presents the same clear-spoken, well-written and in-your-face delivery of lines and rhymes which first made the genre popular. Backing Spades on the track is vocalist Lynia Love. Love is mainly known for her work as an actress and model based in Philadelphia, but performs admirably on Spades’ new single. Her most recent film, “Love Him or Leave Him” was released mid- August 2014. Love also appears in the official music video for “Standing There” and has prominent roles in both the video and the single. Tony Spades was raised in NYC’s Brooklyn Borough and began his career as part of the pre-teen rap crew, M.O.B. (Masters of Brooklyn) in 1989. After performing live throughout his youth and young adulthood, Spades and Adychshun released F.A.M.’s debut album, “Hungry,” in 2009. Spades’ “Standing There” is the most important official release from the artist since his solo debut single, “Respect Mine,” appeared in 2011 presented by Island Def Jam Records. “Standing There” by Tony Spades is available online worldwide. The singer and songwriter known as Vermin and the Beachrat has released his latest EP record album, “My Fantasy.” The album is comprised of seven original tracks for an approximate total listening time of 25 minutes. It has been published as an independent release and is listed variously online under the country, alt-country, and Americana music genres. 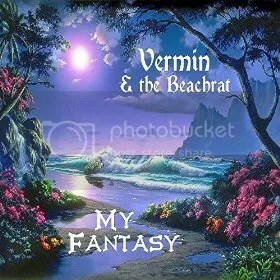 Stylish, eclectic, creative and rocking, “My Fantasy” by Vermin and the Beachrat is a new sound for the modern age with echoes of classic rock in its bones. Vermin and the Beachrat cites as main artistic influences some of the best songwriters of rock ‘n’ roll, such as the Beatles, Neil Diamond, Led Zeppelin, John Fogerty, and the solo work of John Lennon. Vermin’s own sound, however, is one which must be heard to be understood. A melodic mix of surf-rock tones and shadowy rockabilly singing, not unlike the vocals of Nick Cave crossed with those of Roy Orbison, is perhaps the EP’s most striking quality. Consistently strong songwriting, too, places this album among Vermin and the Beachrat’s best releases. Vermin and the Beachrat is a veteran songwriter who wrote all the material for the Beachrats in the 1980s and ’90s. After the members of that early group left for various reasons over time, Vermin kept his edge as many other musicians do around the world: he played in cover bands. Leaving the cover circuit to return to writing originals in 2009, Vermin and the Beachrat released a seven-song debut EP in 2010 titled “Crossing the Line.” The debut record is still available for preview and purchase online, but Vermin’s sound doesn’t fit the typical pigeonholes. “My Fantasy” by Vermin and the Beachrat is available online worldwide.